Slime seemed to come screaming into relevance a couple years ago. As a camp coach, I had been doing slime crafts for years. I was super excited to see the slime craze catch on to a wider audience. Making slime is always such an exciting experience for kids, even if they’ve made it at least five times before. It never gets old watching a child grimace at how gross the ingredients look when they come together. The shouts of, “I’m not touching that!” never get old. It is also fun to watch the kids who get so into it that they’re elbow deep in goo by the time you’re done with the project. Below are my five favorite slime recipes. Also, a quick note: make sure that any of the ingredients you add to your slime recipe are not going to irritate your kiddos’ skin. It is always best to ere on the side of caution. If your slime is too sticky, add more liquid starch. If you slime is too runny, add more glue. Even with precise measuring, you will most likely still have to experiment to get the desired consistency. 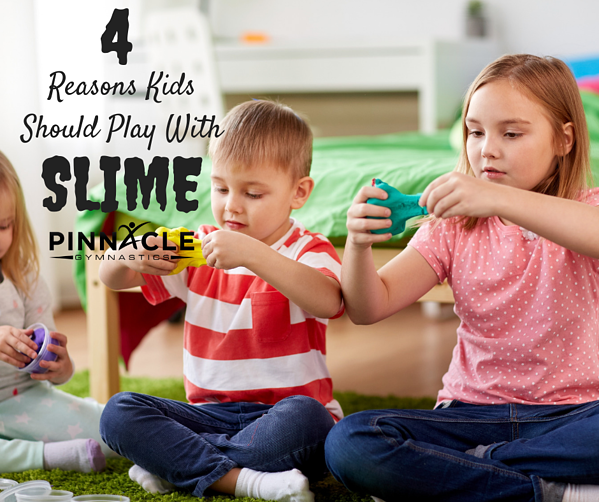 Slime is great and fun, but why should you let your kiddos play with slime? Is there any benefit, or are they just going to be holed up in their room playing with weird goopy stuff? 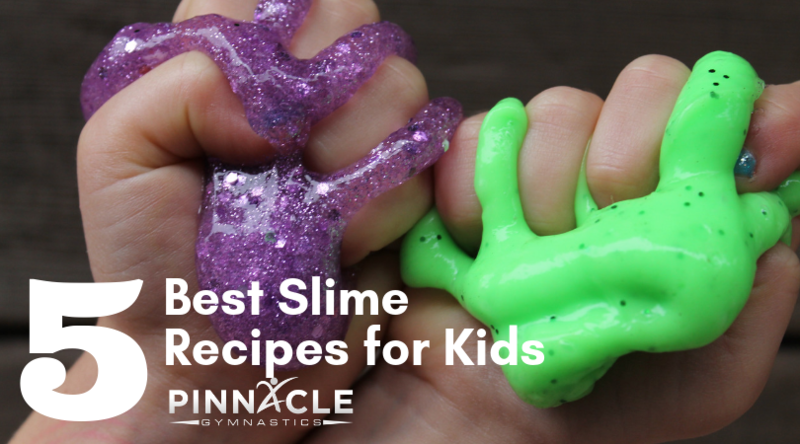 Making and playing with slime can have great benefits. More Ideas for Activities for Kids Kansas City. Bonding time with your kiddo – Any time you do a creative activity with your kids it strengthens your bond. Exploring a new recipe together, even if it isn’t edible, creates a strong memory. Plus, you get to show your child that you are interested in something that they care about. STEM – While you are making slime and bonding with your kiddo you can also talk to them about the science behind slime. You can use yummy words like molecules, polymers, reactions, viscosity. Slime is a non-newtonian fluid, which means that it is neither a liquid or a solid. How cool is that?! Stress Relief – Having something to do with your hands, much like the fidget spinner craze, can relieve stress and anxiety. Add in a calming scent like lavender or spearmint, and you are good to go. It seems as if the slime craze is here to stay. Embrace the mess, and reap the hidden benefits. Just don’t forget the two best reasons to make slime with your kids: getting to spend quality bonding time with your kiddo, and it is FUN!